Late December saw two events of significance regarding suits filed by patients against testosterone replacement therapy drug manufacturers. In the first, drug maker Eli Lilly & Co. & Co. reached a global settlement in all cases pending against it in multidistrict litigation (MDL) regarding its Axiron product for testosterone replacement therapy. 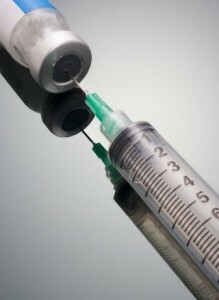 The claims allege that patients prescribed the testosterone replacement therapy Axiron gel suffered heart attacks, blood clots, and other health issues. Axiron, along with fellow prescription testosterone treatments such as AndroGel and Testim were initially approved only for treatment of hypogonadism, or low testosterone associated with an injury or other medical condition. Plaintiffs, however, allege that the drug-makers were instrumental in implying that low testosterone was a disorder causing fatigue and other symptoms that are simply the result of aging. Court proceedings in the MDL will be stayed for 45 days beginning on December 21, according to court records, so that a Master Settlement Agreement between the plaintiffs and Eli Lilly can be finalized. At roughly the same time, A U.S. judge on Friday tossed out a punitive damages verdict that awarded $150 million to plaintiffs against drug-maker AbbVie Inc. in July 2017. The jury awarded an Oregon man who had taken AndroGel the punitive damages on the grounds that the company had misrepresented AndroGel. The patient took AndroGel for 5 years prior to a heart attack he claimed had been caused by the drug. He recovered within a year. However, the jury also found that the drug-maker was neither negligent or strictly liable for the heart attack. As a result, while the plaintiff was awarded punitive damages, he was awarded no compensatory damages. The judge found the jury’s decisions “logically incompatible” and ordered a new trial, set for March. He also vacated the jury’s award. The July verdict was the first tried from a series of AndroGel trials consolidated at the Federal level. Cases similar in matters of fact and law are consolidated to assist both plaintiffs and defendants to see the scope of cases, and consider damages and options for settlement. In October, the second trial results in the jury deciding against AbbVie also. The jury awarded $140 million in punitive damages and $140,000 in compensatory damages. The plaintiff, a Tennessee resident, had also taken AndroGel and later had a heart attack. Other drug-makers also face litigation in testosterone therapy replacement lawsuits across the nation.